Decided to upgrade to W10. Bought a new SSD (232G).
" and because Windows is so well conceived and documented"
~ if the W7 disk is removed, the computer cannot boot up and give an error like "Boot Device Missing" if I remember well. The ultimate goal is to remove the 112G drive. I did install W10 a couple of months ago, reinstalled my software and reconfigure the software and OS., I Hope there a way to fix that by "merging" the Boot Manager with the Loader and that the solution is not to re-install W10 again. from what I red, things changed starting with W7! that the System Reserved "partition" is a new feature that started with W7. 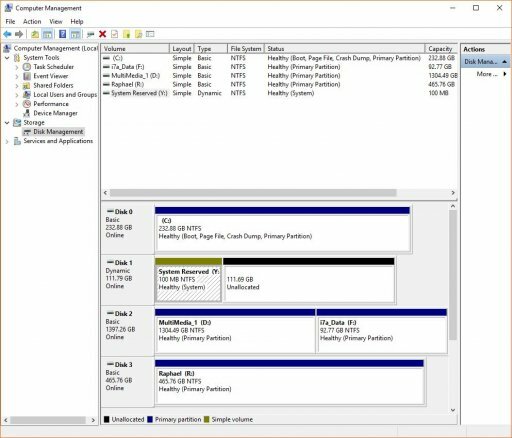 So when I read the Changing the Boot Partition explanations, I do not exactly understand what will happen because of the lack of information maybe. If I don't understand EXACTLY what will happen, in which order... that make me insecure! Those instructions will make copies of the boot files where you tell it to (C). It doesn't matter what the contents are (XP Vista, W7-10, single boot, multi-boot) It just replicates them from where they are now, to where you specify. Just do it, then change the BIOS to boot from the new copy. 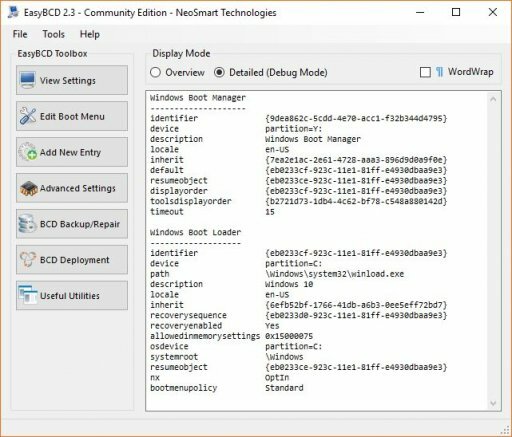 When you run Disk Management, you'll then find W10 flagged as boot, system and active, which will enable you to remove the old SSD. I had to go outside the country to work. Did not bring my tower. Now I am back and ready to tackle that problem... finally! The System Reserved 100MB partition is at the beginning of Disk 1. If I understood well, it must ALWAYS be at the beginning, no? So, I still do not understand (I must be a dummy) how the EasyBCD tools will move the C partition to make place and copy the System Reserved Partition at the beginning of Dive 0.
can I get more explanation on that?